Walkley Community Centre has won the Association for Heritage Interpretation 2015 Discover Heritage Award for best community project. Nine Men, Nine Lives, One Great War (part of Walkley Ways, Walkley War) took the award against stiff opposition in the Peak District and west Wales. Melanie FitzGerald, one of the Walkley Historians, accepted the award from AHI patron Loyd Grossman CBE at a gala ceremony in Newbury. The project, funded by a grant of £59,900 from the Heritage Lottery Fund, commemorates nine members of Walkley Reform Club who fought and died fighting during the First World War, and who are remembered in memorial windows at the centre. The research involved locating photographs of the nine men to replace the faded images in the memorial windows, which were restored as part of the project, and can be seen in their original location in what is now Walkley Community Centre. 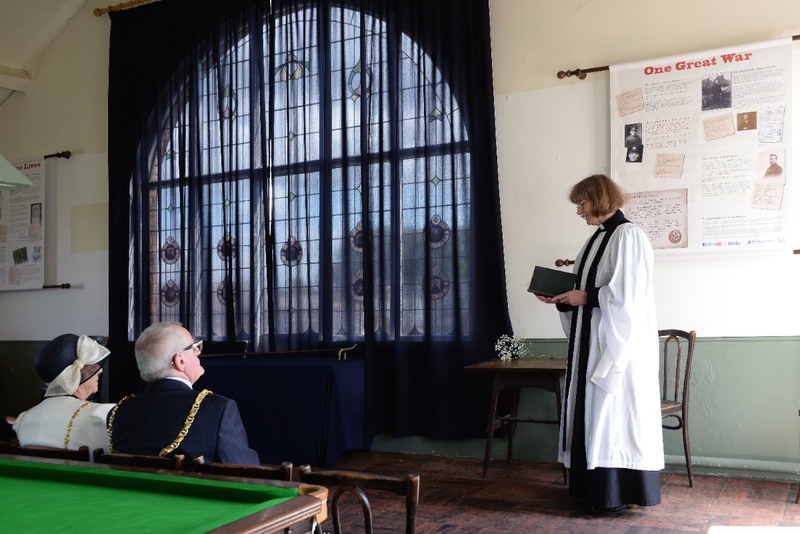 A rededication ceremony took place, which was attended by family members of the men commemorated in the memorial window. Thanks to National Lottery players, the project created an exhibition, displayed in local shops and St Mary’s Church, along with series of talks for the local community, and a dedicated webpage on the Walkley Community Centre website. 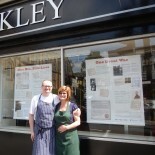 AHI judges commended the project for giving the First World War relevance, meaning and immediacy to the residents of Walkley through storytelling events, talks, local shop displays, a website and a simple permanent display next to the restored windows. You can find out more about the men here. The AHI Discover Heritage Awards are the only UK and Irish awards to recognise excellence in all types and sizes of heritage interpretation whether held in museums, historic buildings, visitor centres or any type of outdoor location. Any form of media is suitable including exhibition, print, digital, art or live. An eligible project can be small or large. Whether it is a new leaflet or a million-pound visitor centre (or anything in between), the awards celebrate projects that best meet their interpretive aims and successfully communicate their key messages to their audiences. The full list of winners, runners up and commended entries can be found at http://www.ahi.org.uk/www/awards/categories. This entry was posted on November 6, 2015 by Bill Bevan in News.